The Marine Strategy Framework Directive (MSFD) requires the European Union Member States to monitor all the elements of the marine ecosystem and of the human pressures being exerted on it. As marine litter has not been monitored previously, Member States now need to establish wide-ranging monitoring programmes. These might cover marine litter floating on and below the sea surface, as well as litter that has accumulated on the sea floor and washed ashore, and even the litter ingested by marine wildlife. To support Member States in monitoring MSFD monitoring guidelines were developed by the Technical Group on Marine Litter, a group of experts established to support the MSFD implementation. The adoption of these guidelines should allow to determine trends in the amount of litter and its composition. The data and information from MSFD monitoring programmes will allow for a better understanding of the sources of litter and its impacts. These programmes are critical for implementing appropriate management measures and track progress of their effectiveness on ensuring healthy marine ecosystems. Given the extent of Europe’s Seas and related sustainability challenges, Member States will need to develop innovative and cost-efficient methods to carry them out. Voluntary monitoring of marine litter found on beaches offers an opportunity to support these activities, building on the communities already engaged in coastal stewardship across Europe. Many citizens across Europe are already taking part in activities monitoring marine litter on beaches. With its app, Marine LitterWatch (MLW) aims to support the MSFD implementation by engaging with existing communities to deliver data fit for policy-support purposes. For the community-based monitoring to support (and complement) official monitoring by responsible bodies, the data has to be collected following the MSFD monitoring guidelines. This will ensure that it is quality assured and can be used for comparable and reliable assessments over time. Citizens already play an important role in supporting environmental assessments and implementing European policies, especially through citizen science activities. Recent EEA assessments on the state of grassland butterflies and on the state of bat populationsin Europe are examples of the importance of the role of citizen engagement in providing policy-relevant data. Several Member States (such as France, Spain and the United Kingdom) already count on citizens to monitor beach litter. MLW aims to encourage and facilitate citizen uptake of such activities and support addressing the issue of marine litter. 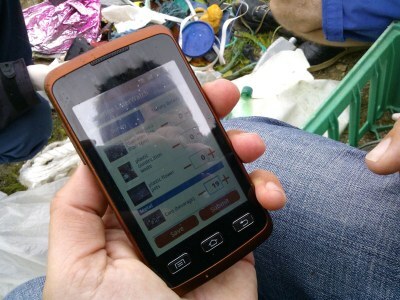 The MLW app allows users to monitor, identify and report marine litter items found on beaches using the MSFD’s standard list. Communities should make their volunteers aware of quality assurance and quality control issues to ensure that litter collection and classification follow the monitoring protocol and MSFD guidelines. This will also ensure consistency across the submitted surveys. Investment in communication and the training of the national, regional and local survey coordinators and managers is therefore critical. Communities are encouraged to contact their national bodies responsible for monitoring marine litter when designing their monitoring strategies. To set-up a monitoring event, communities should use the web interface available for this purpose and to manage the community data. Find out if your community is already part of the MLW network by checking the community list. For further assistance please refer to the MLW guidelines or send us an email. You can also visit the EEA Forum to check frequently asked questions about Marine LitterWatch or post your questions. The MSFD monitoring guidelines describe a harmonised protocol for monitoring beach litter. This allows for comparability of the data collected by Member States within the European regional seas and in the EU as a whole. However, the guidelines are not step-by-step instructions. They provide Member States with recommendations and information needed to start the monitoring of marine litter. Member States then need to define national monitoring strategies, according to their initial assessments and targets reported under the MSFD for reaching ´Good Environmental Status’ of the marine environment by 2020. 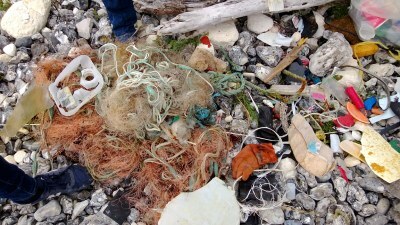 The main elements of a strategy for monitoring beach litter are: selection of survey sites; number of sites; frequency and timing of surveys; documentation and characterization of sites; sampling unit; units (quantification) of litter; collection and identification of litter items; size limits and classes of items to be surveyed; removal and disposal of litter. The type of survey selected depends on the objectives of the assessment and on the magnitude of the pollution on the coastline. A single survey method is recommended in the MSFD guidelines with different spatial parameters for light to moderately polluted coastline and for heavily polluted coastlines. The guidelines also recognise that investment must be made in the capacity-building of national, regional and local survey coordination and management both for official monitoring and community-based monitoring. This will allow for alignment of existing methodologies with the MSFD standardised protocol. This is an opportunity for communities engaged with beach surveys to make their data collection activities relevant to official MSFD monitoring. Although MLW does not address capacity building, it aims to facilitate dialogue and cooperation between authorities and communities. The EEA will also work initially with some of the main communities in the European Union to support this interaction and cooperation. For references, please go to https://www.eea.europa.eu/themes/water/europes-seas-and-coasts/assessments/marine-litterwatch/get-started/setting-up-monitoring-events-1/setting-up-monitoring-events or scan the QR code.